This is an interesting one. Designers liked it, but it broke too much with the underlying android experience. It's about experience continuity and expectations. 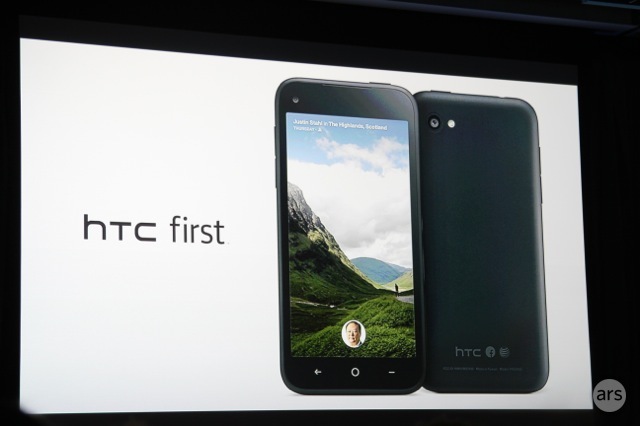 Facebook's HTC First, the smartphone herald of Facebook Home, will be discontinued by carrier partner AT&T, according a report from BGR Monday. The phones, released just over a month ago, will be returned as unsold inventory to HTC, with only 15,000 handsets making it into customers' hands. Facebook announced its Android UI overlay Facebook Home in early April, and both the flagship HTC First phone and Google Play became available on April 12. The First hardware was solid (if lackluster) and in line with the $99-with-two-year-contract price. But the Facebook Home interface has proved confusing and borderline repulsive to users, with a current Google Play store rating of two out of five stars generated from 16,700 votes. Last Thursday, the First was discounted to a mere 99¢. Just four days later, it appears AT&T can no longer bear the shame of associating itself with Facebook's unwanted Android love-child.